Since the Court concluded that CBD has standing to intervene in this litigation, it also allowed HSUS to interfere. As explained by the Court of Appeals, when one proposed intervenor has established standing, the Court does not need to decide if other organizations seeking the same remedy have demonstrated standing (here allowing the right to intervene). While this is not ideal, USARK will press on. This has not been ideal from the beginning. This does not change the fact that by granting the preliminary injunction, the Court has shown that USARK is likely to prevail on the merits of our case. HSUS has once again slipped mistruths and sensationalism into the arena, but we will not falter. The intervention of CBD and HSUS does not alter the reality that these listings were overreach by FWS based upon junk science and pushed by animal rights groups. 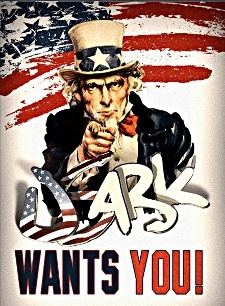 USARK will move forward. We will continue to present facts. We will remain steadfast and resolute as we bring to light the details of these unjust actions. View the court document at www.usark.org/wp-content/uploads/2015/07/Docket-68-HSUS-CBD-Intervention-Granted.pdf. FWS has posted a notice of petition findings and initiation of status reviews for 31 species of native wildlife, mainly herps, for potential listing under the Endangered Species Act (ESA). Comments are due by August 31, 2015. You can find a list of species on pages 1 and 2 at www.gpo.gov/fdsys/pkg/FR-2015-07-01/pdf/2015-16001.pdf. All information and links can be found at www.federalregister.gov/articles/2015/07/01/2015-16001/endangered-and-threatened-wildlife-and-plants-90-day-findings-on-31-petitions#h-4. Click here to view a recent USARK comment regarding a proposed ESA listing to help with any comments you would like to submit: www.usark.org/wp-content/uploads/2015/06/Egyptian-tortoise-comment-USARK.pdf.